Like many towns along the Garden State Parkway The Borough of Lavallette is frequently visited by tourist and attracts many summer vacationers each year. This township borders the Atlantic Ocean and makes up part of the Barnegat Peninsula. The Barnegat Bay makes Lavallette ideal for family vacations, because it allows a scenic location where visitors often boat, windsurf and water ski. Though Lavallette is only about one square mile in area it is still a permanent home to approximately 2900 people. Its easy accessibility is a plus being that Route 35 runs right through it, and leads into the Garden State Parkway. However, with so many people coming in and out of Lavallette, the area sees its fair share of criminal offenses and the local police department remains busy handing out traffic citations. 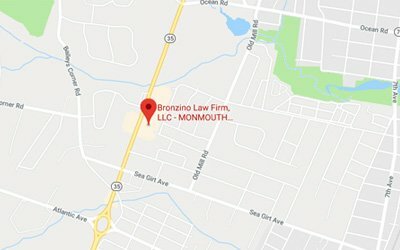 If you have received a traffic citation or been arrested in Lavallette The Bronzino Law Firm LLC , understands that all municipal court proceeding can be intimidating and confusing. Our team takes pride in working closely with all our clients throughout the legal process to deliver highly personalized and effective legal solutions. We work aggressively and tirelessly to defend your rights and needs in court. 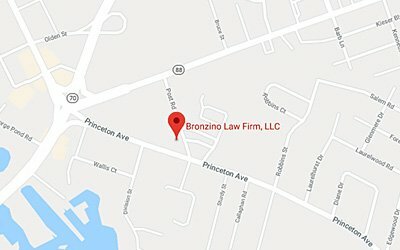 The Lavallette Municipal Court resides at 1306 Grand Central Avenue Lavallette, New Jersey 08735 and can be reached by phone at (732)-830-1911. The judge is the Honorable Frank L. Salzer. The Administrator is Elizabeth Boettger. The current prosecutor is Kim Pascarella, Esq.. The Court Office Hours are Monday through Friday 9:00 A.M to 4:00 P.M. The Lavallette Police Department is located at 1306 Grand Central Ave, Lavallette, New Jersey 08735 and can be reached by phone at (732) 793-4800. 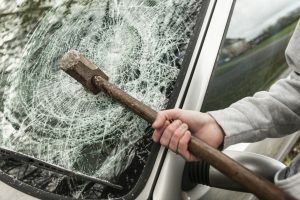 The Borough of Lavallette Municipal Court has limited authority and jurisdiction to decide disorderly persons offenses, petty disorderly persons offenses, town ordinance violations, and traffic charges. The limited jurisdiction of the court doesn’t permit it to decide felony indictable crimes of the first, second, third or fourth degree. Misdemeanor criminal charges heard in the Lavallette Municipal Court are usually disorderly persons offenses. The municipal court is, however, responsible for deciding all traffic and motor vehicle summonses issued within the borders of the town, these include Driving While Suspended, Driving Without Insurance, DWI, Speeding, Reckless Driving, possession of CDS in a motor vehicle and Leaving the scene of an accident. Because of the active work of both the New Jersey State Police and the Lavallette Police Department the Lavallette Municipal Court commonly hears cases involving traffic violations. Many times these are people who are traveling on Rout 35 and the Garden Parkway. The criminal offenses heard in the municipal court often vary greatly. Though not felony crimes, they can result in a criminal record and the possibility of up to six months in jail if you are convicted. These include violations such as possession of 50 grams or less of marijuana, shoplifting, harassment, obstructing the administration of law, underage drinking, and drug paraphernalia charges among others. It is critical to have an attorney experienced in the Lavallette Municipal Court as your advocate if you have been charged with a crime or cited for a traffic offense. The Bronzino Law Firm LLC understands completely that the issues in municipal court can impact individuals, their jobs, their children, as well as the rest of their family greatly. Because of this fact, our attorneys work closely with our clients throughout the legal process to deliver highly personalized and very effective legal solutions. Our extensive experience makes us the partner you need when facing any municipal court proceeding in Lavallette.